If you are looking to get rid of an old car then be sure to call our Buffalo tow truck company today! It is a very sad day when we have to say goodbye to a car. They take up a large place in our lives. They ferry our children to and from work, they help us make a living and they carry us home safely at the end of the day. They can be a memento from a road trip or a prized possession, a statement or a flash purchase. But, like all good things, they must come to an end sooner or later. There are a number of things to consider when this happens and we are well placed to clear up the confusion when that happens. Do you need a professional Buffalo NY junk car removal company? Everybody has heard of the junkyard but the reality is that not many people know how to get the best out of them. Do you try to take it down yourself? How much should it cost? Will the materials be recycled? Will this just be more hassle than it is worth? Should I just leave the car to rust away in the garage or the yard, to save from paying too much and taking too much time to get rid of it? Well - here at Buffalo Towing Company, we are happy to inform you that junk car towing services have never been easier. But… only if you have our number and you know where to turn when you find yourself in need of a helping hand! So - let us be the ones to source the best junkyard for your car. Let us be the ones to get you the best quote and to advise on the type of scrapping that best suits your vehicle. Let us be the ones to inform you about the possibility of recycling and reusing parts of the car. Let us be the ones to come and pick up the vehicle to remove it from an unwanted space. ​But, most importantly, let us be the ones to remove the stress from the situation and to make it a smooth, efficient and hassle-free process that will leave you smiling at the end of the day and make you recommend us to your friends and family. 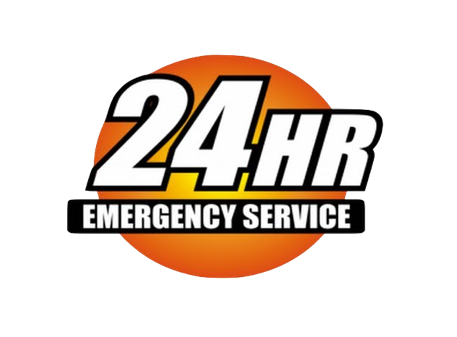 Are you in need of 716 towing & roadside Buffalo NY residents rely on for quick service? If so, feel free to give us a call today for help. We can even help you out if you have a dead battery in Buffalo NY. Firstly, once we receive your call, we will come and perform a routine inspection should it be needed. If not, and if it will be a relatively easy process, then we can just come and get the car to be done with it. But, routine inspections are good to asses the type of vehicle you own, the extent of the damage and to discuss your specifications and your desires. Then we will draw up a plan of action and present it to you to make sure that you agree with the work that is taking place. After it is all sorted, we will do what we do best and get to work. We can’t promise a funeral or a long goodbye for your ageing or damaged vehicle. But, what we can promise is efficient junk car removal Buffalo New York locals depend on. We team provides a service that gets the job done without the hassle.